This week I have been focussing on all things Spring. 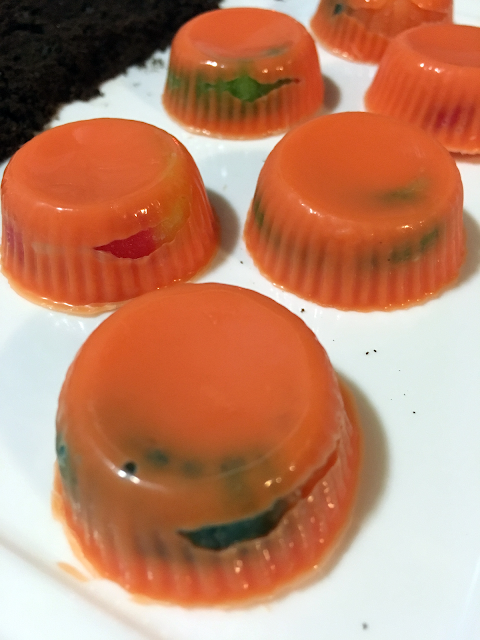 I thought Worms In The Dirt would be the perfect recipe to share with my readers. 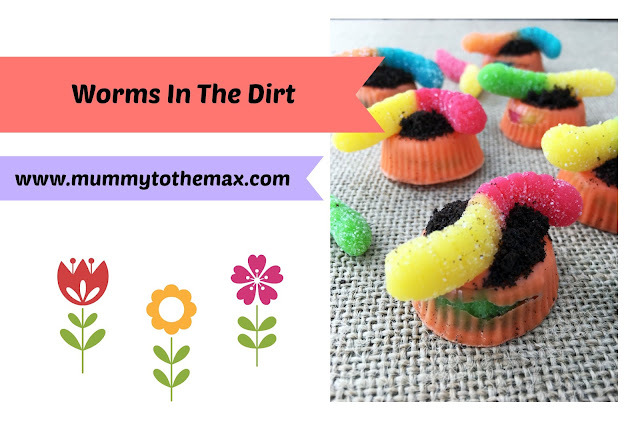 Worms In The Dirt is a tasty sweet treat which is suitable for all the family. Not only is it great fun to make, it is fun to eat. 1. Melt Candy melts in the microwave for around 90 seconds until melted. Ensure you check the melts at regular intervals. Do not overheat. 2. 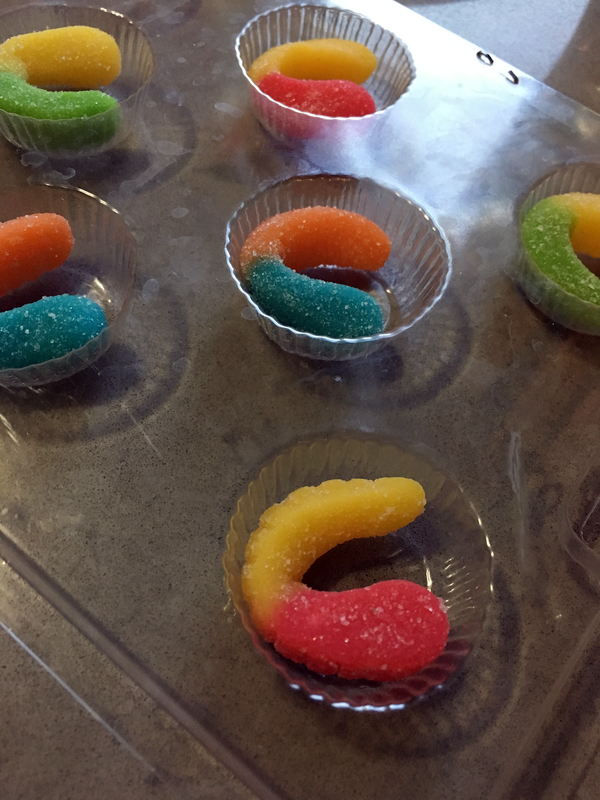 Place 1 gummy worm into each space in your peanut butter mould. Slowly pour the candy melt over the gummy worms and fill each space within the peanut butter mould to the top. Tap mould gently to remove air bubbles. 3. Place the mould into the freezer for 20 minutes. 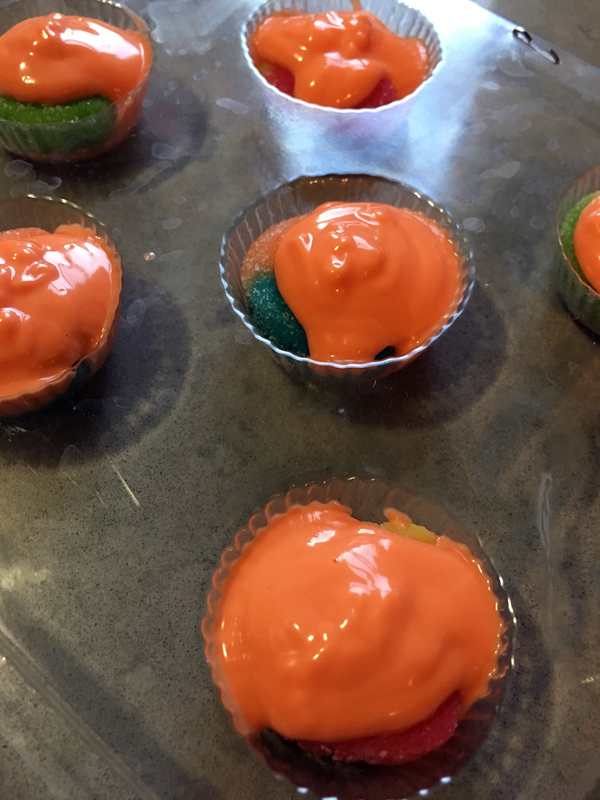 Once the 20 minutes is complete, tap the mould to release the candy melts. 4. Remove cream filling from centre of your Oreo cookies. Crush cookies with a spoon or small rolling pin until the Oreo cookie is finely ground. 5. Spoon a small amount of your melted candy melt onto the top of each set peanut butter mould. Add 1 gummy worm to the top of each and then sprinkle the ground Oreo cookies on the top. 6. Place your creations on a baking tray and allow to set for another 20 minutes. 7. Once everything is set, remove and serve. Thank you .... they were fun.